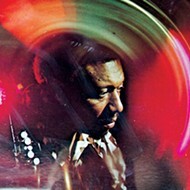 Bit Logic, released in October, is the band's most straight-ahead country record to date. The meeting takes place at Killer Vintage, a jammed-to-the-walls guitar shop in the Clifton Heights neighborhood of St. Louis. Inside you can test drive a Vox Super Beatle amp, roughly the size of a refrigerator and built to overpower screaming teens at Shea Stadium, or lay well-washed hands on a 1966 ocean-turquoise Stratocaster. It can be yours for $30,000. The store isn’t open for the day yet; being inside is like stealing into a secret museum of rock & roll. Brian Henneman, the principal voice of the Bottle Rockets and its co-leader since the band emerged out of Festus in 1992, has worked at the shop for years. He’s joined for an interview by Mark Ortmann, the other original Bottle Rocket, the band’s drummer and a major partner in the group’s direction and songwriting. 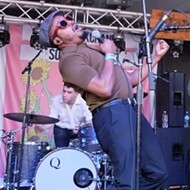 They’re talking about the band’s new album, Bit Logic, in some ways its most striking sounding record — “clean and tight” to quote Henneman’s mantra — driven by phase-shifted guitars (an homage to outlaw hero Waylon Jennings) and its fullest embrace of straight-ahead country music. 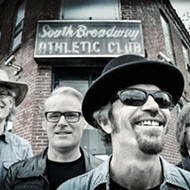 For more than three decades, the Bottle Rockets’ songwriting has been its foundation, and its approach has always been uniquely collaborative. The band’s members could care less who technically wrote the song; they’re all honed and reimagined to become true to a single spirit. 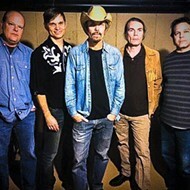 Case in point: “Silver Ring,” perhaps the Bottle Rockets’ prettiest love song (the band has more of those than its reputation suggests), provides the album with a perfect, personal coda. Over a sparely strummed acoustic guitar, Henneman sings, “Gave you a silver ring, but it doesn’t mean I love you any less than gold.” The lyrics were written start to finish by Ortmann, who knew he had something special, even though it took a few years to find a home on an album. What sustains the band, beyond just how tightly its members play together (the current lineup, featuring John Horton on guitar and Keith Voegele on bass, has been together since 2005) is the foundational friendship of Henneman and Ortmann. The two have been collaborating since high school, starting in 1982. One of the defining songs on Bit Logic is titled “Bad Time to Be an Outlaw.” The song is less a statement about the Bottle Rockets’ place in American music than it is simply about playing music and paying the damn bills. Henneman breaks out his phone to illustrate, swiping through images of every single thing that broke down last year: air conditioner, furnace, car, toilet, the aforementioned phone. In some ways, however, it’s never been a better time to be an outlaw. 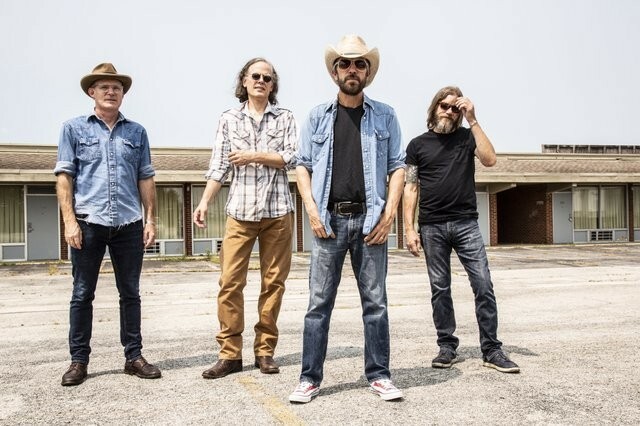 The band has figured out how to make touring work — sharing dates with Americana rockers like James McMurtry, Chuck Prophet and Marshall Crenshaw, finding a home on the SiriusXM Outlaw Country station and landing a spot on last year’s sold-out Outlaw Country Cruise. If the band’s arresting outlaw country turn was premeditated, the central theme of Bit Logic, a kind of resigned resilience in the face of these strange days, was never mapped out. On “Doomsday Letter” Henneman lays into all manner of pessimistic prophets — “There’s way more left in the world that’s glistening, it’s not all ruin,” — and on “Maybe Tomorrow” he laughs at his own foibles and failures, closes up shop and heads into another day. 8 p.m. Saturday, November 24. Off Broadway, 3509 Lemp Avenue. $20. 314-773-3363.